How did Monday get here so quickly? This week, weary from week after week of rich Western cuisine, we decided to head back to our roots for a simple Chinese dinner. 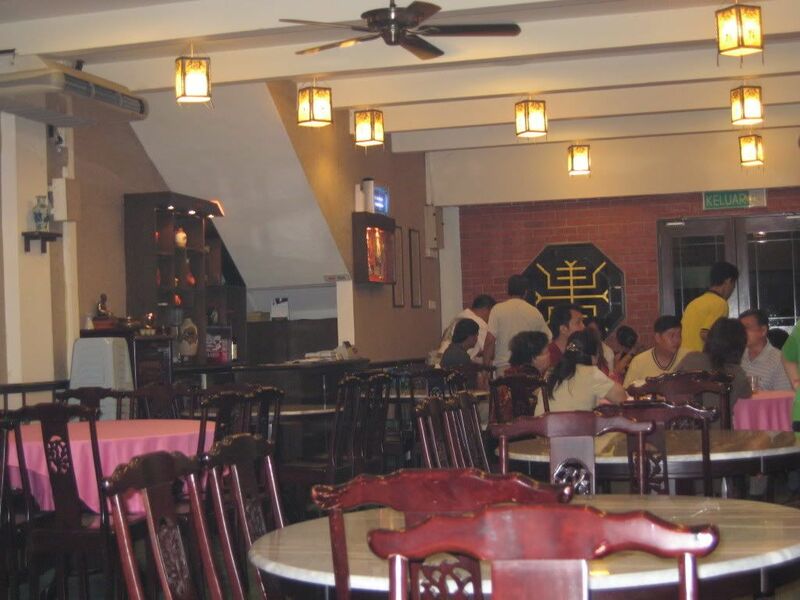 The restaurant came highly recommended by Alvin and Diana so we were all looking forward to it. Restaurant De Maw (Nope... couldn't find any links for it AT ALL. .. apparently it hasn't joined the e-generation yet) is located at Jalan Pudu Ulu off Jalan Cheras near the PGRM building. 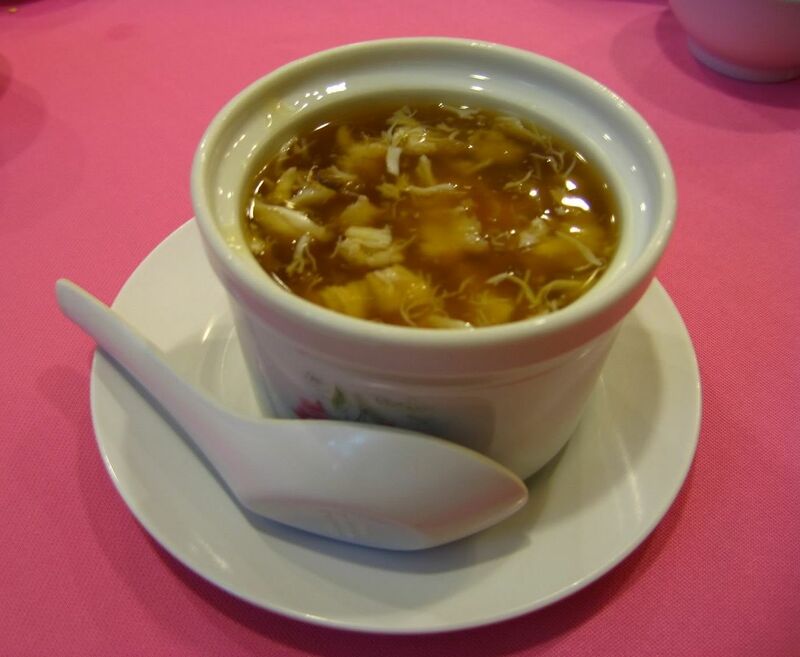 The shark's fin soup was a little teeny bit too starchy but nonetheless, tasted lovely and was packed very generously with crab meat and well, shark's fin. Soon after that, we were served with the other dishes: the succulent fish (steamed with soya sauce, topped with fragrant fried dried prawns (that's "hae bee" to you and me)), the juicy prawns (fried with sweet and spicy sauce), the classic sweet and sour pork (Mmmm... my favourite since I was a wee child), the tantalising fried noodles (stir fried green bean kuey teow with chicken) and the yummy baby bok choy (stir fried with preserved veg). 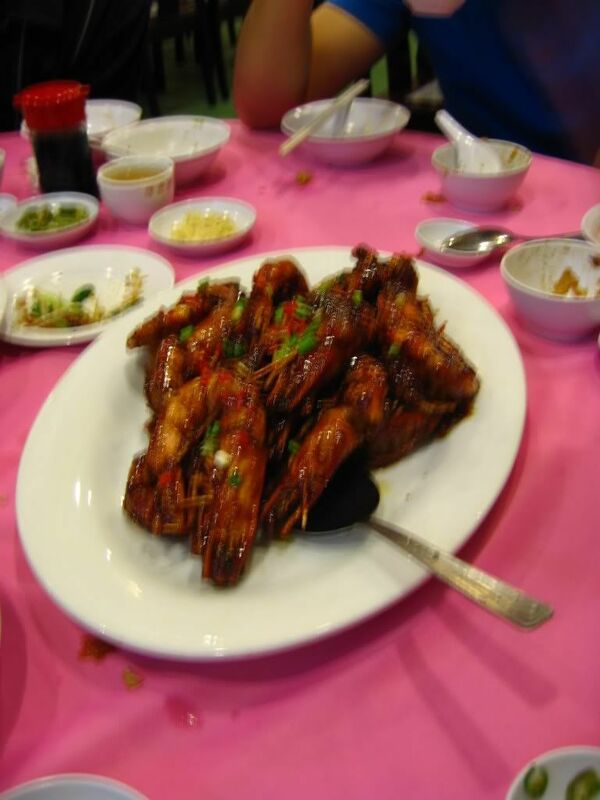 I Heart pR0n... Erm, I Mean Prawns..
At the end of the night, we topped off our already our already bulging bellies (being the gluttons that we are) with a simple gingko and longan dessert. The dessert was a tad too sweet for my taste, but other than that, the dinner was fantastic. 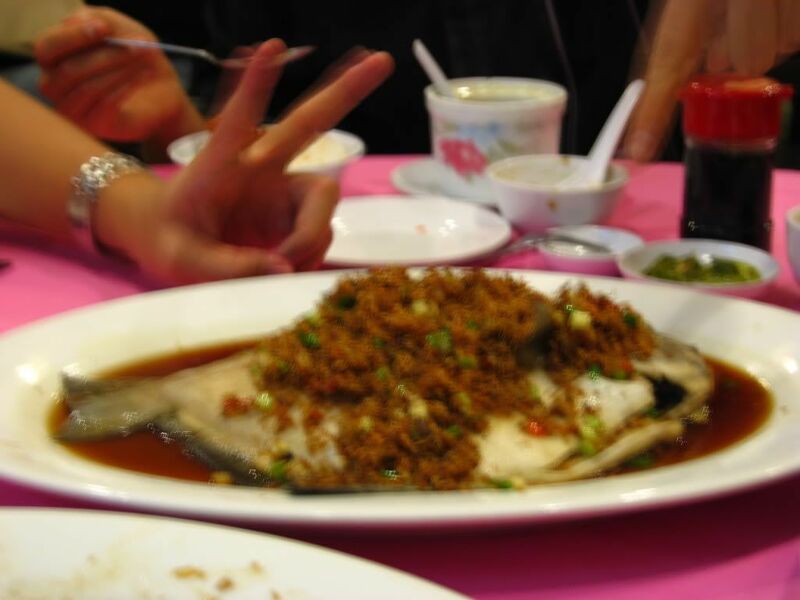 Everything from the fish to the bok choy was done really well... and all that for only RM40/ per person? Well,... I definately have no complaints. After waiting for her for about an hour (*glare*), the birthday girl arrived and the festivities began! No, actually, we just had a few drinks and a nice chat, but hey,... I had fun. I've been to TSB too often to be able to give a proper review on it (with objective first impressions and all).... but if I had to sum it up it probably would be: comfortable dining/restaurant downstairs, fun music (tho very rojak/ mixed) in the bar upstairs and yummy drinks. Really should get back to work. Poor thing.... Hang in there! Yup.... nice and tall and strong. Hi! 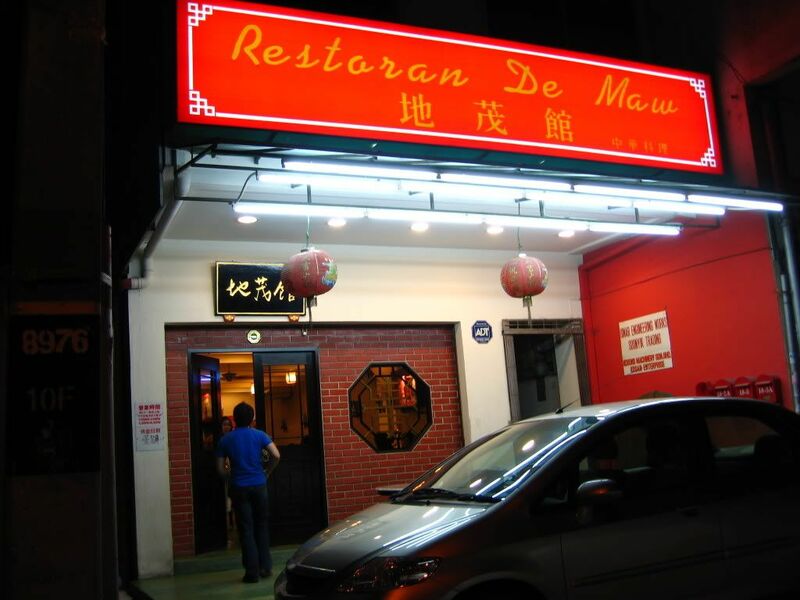 Thanks for your reviews on De Maw ... will be going there tomorrow night for a birthday do. Heard it's good! I hope you have a great (and yummy) celebration at De Maw. And also glad to hear that the restaurant is still maintaining its foods' standard!